The 2017 RAM 1500 performance class-exclusive features provide Chatham drivers with a capable and durable pickup. A transmission that shifts seamlessly is both easy and efficient, and three engines offer you a choice between fuel, power, and efficiency. It may not be the biggest truck on the market, but it provides you with impressive towing capabilities to hook up your boat or trailer for weekend fun. Learn what this truck can do below, then take a quick trip from Jacksonville to visit us for a test drive today! This engine is one of three available engines, producing 395 hp and 410 lb-ft of torque for maximum towing and acceleration. Standard on every mode, this 8-speed automatic transmission uses a Thermal Management System for efficiency while letting you accelerate quickly in low gears. You can haul that extra-heavy load with ease thanks to an integrated trailer hitch and trailer sway control, making adjustments to help you stay in control. Available and adaptable, this system has five ride heights to choose from while managing levels automatically for optimum fuel efficiency and clearance. The new RAM 1500 comes standard with a 3.6L Pentastar V6 engine with variable valve timing, giving you 305 hp and 269-hp, but staying efficient with 25 mpg/highway and 17 mpg/city. In addition to the aforementioned HEMI V8 engine, you can also opt for the 3.0L EcoDisesel V6 engine with best-in-class fuel efficiency coming in at 29 mpg/highway and 21 mpg/city. This 3.0L engine is capable of 240 hp and 420 lb-ft of torque. If you’ve got bigger cargo to tow, the HEMI V8 is the leading choice, allowing you to bring up to 10,640 lbs., and you can add the Trailer Tow Mirror and Brake Control Group for added assistance. 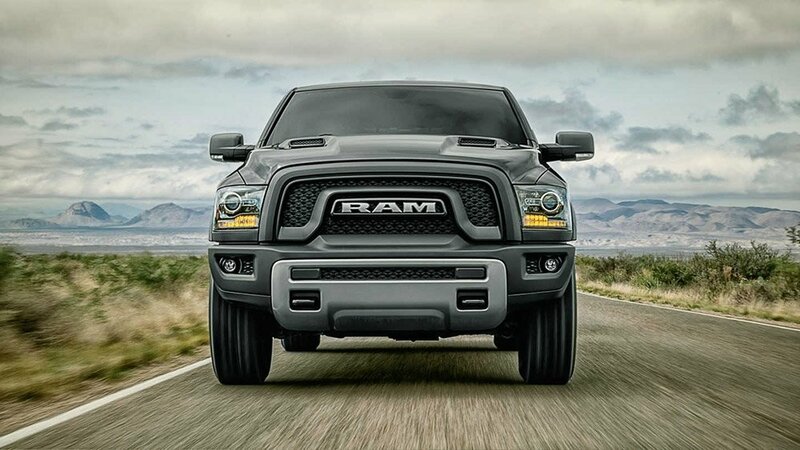 Check out how the 2017 RAM 1500 performance handles on the road and how easy it is to finance by visiting us at Green Dodge just northwest of Taylorville. Our showroom is located at 3801 Wabash Ave in Springfield, and you can make an appointment by calling us at (217) 610-8240. Comments or questions? Leave a message online to hear from us shortly!